Mitsubishi Pajero Sport is available in 5 different colours - Himalayan White, Pure Black, Deep Blue, Iceberg Silver, Storm Grey. It is the best SUV in its class. All ready for any road, anywhere, anytime. This is very comfortable and for a long drive, this is fun and slightly most of the time off-roading is very very good. Pajero Sports 4x4 is the real King of highways. Its elegant look attracts passersby. Awesome pickup with a quality ride. I am in deep love with Pajero Sports. Great car for offroading, high-performance engine, great pickup, superb sound system, 4 wheel drive. Overall a great car. Nice car on the long drive, It's engine is so beautifully modified taking sudden pickup, I love this car and enjoy a lot driving it. Can the over 200PS Endeavour facelift with the new twin-turbo 2.0-litre diesel dust off the competition in the popular body-on-frame SUV segment? 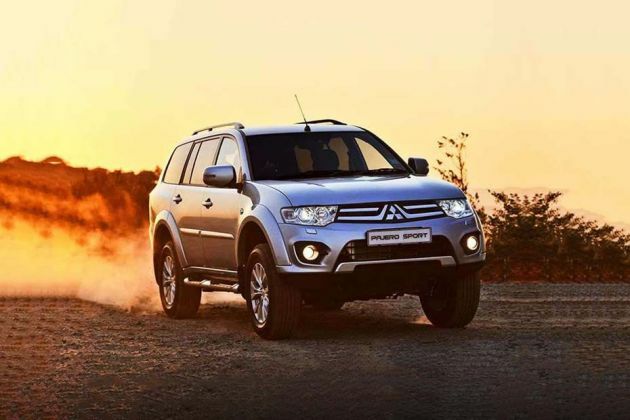 Mitsubishi has silently launched a new variant of the Pajero Sport, called the 'Select Plus', with some cosmetic changes and added features.